Traditional Newfoundland Molasses Tea Buns. 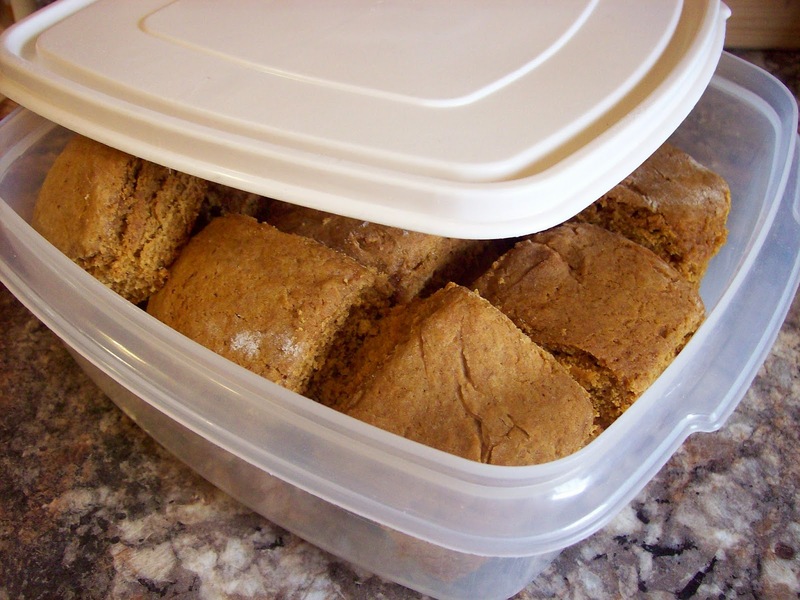 Lassy Buns (Molasses Buns for those not acquainted with the vernacular of Newfoundland) are one of those treats your grandmother gave you when you went to her house after school. Well, the grandmothers of yesteryear did. Don's mother usually had a good supply of these distinctly molasses-flavoured buns on hand at any given time and the boys (little and big) always enjoyed eating them when we went to Nan's. She would often send up half a dozen or so when she baked and not only did the boys go for them, so did I. My mother never made these sweet molasses buns and they were new to me when I was first married. Lassy Buns can be found throughout the Atlantic provinces but we Newfoundlanders are sure they belong to us. For years molasses from the West Indies was traded for Newfoundland codfish and became a kitchen staple in every home. 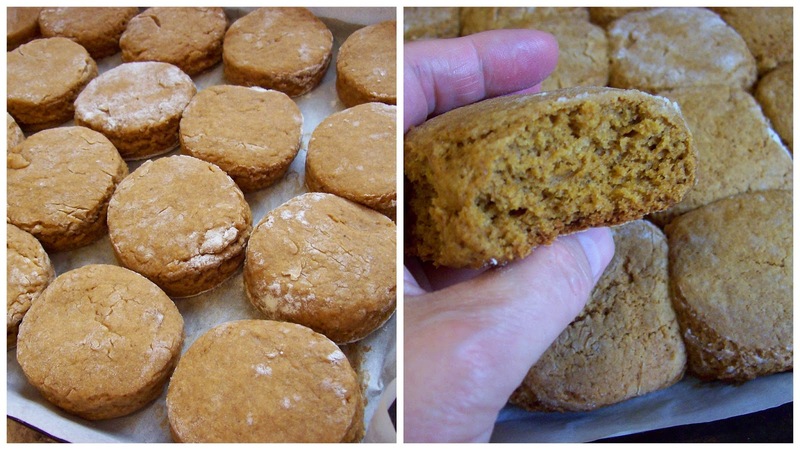 During my grandmother's time, molasses was used to sweeten tea, breads, cookies, puddings and buns. It was used as a spread on bread, as a sauce for puddings, and as a syrup over pancakes and toutons (fried bread dough). Many traditional Newfoundland recipes trace their roots back to molasses as a main ingredient. 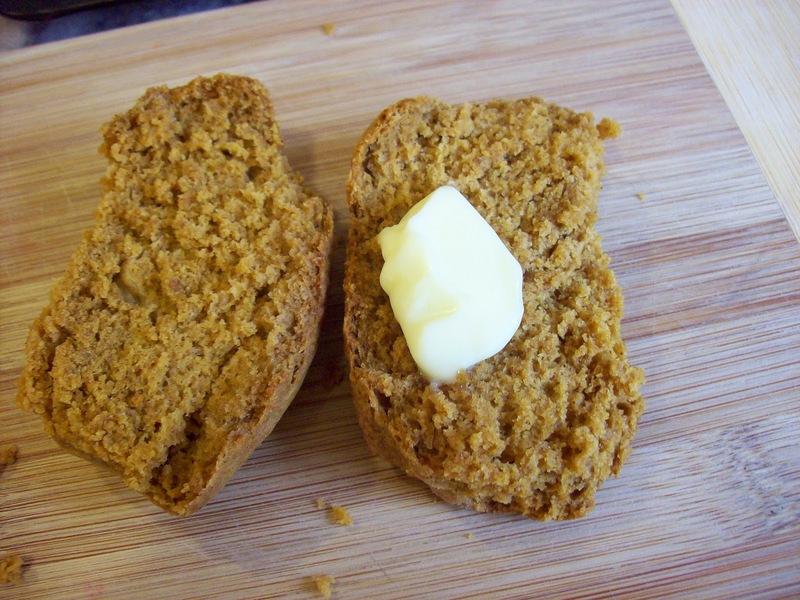 Molasses Buns can still be found in almost any good bakery and in grocery stores that carry locally baked items. 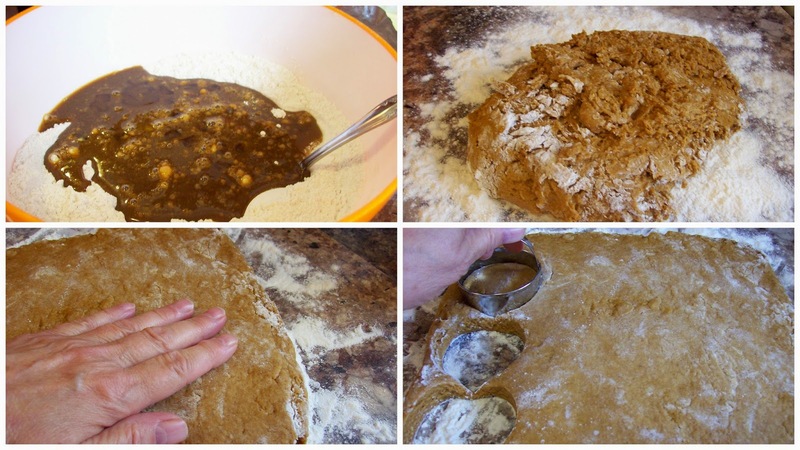 Lassy buns can be made plain or with raisins, with or without spices. I like them any way they are made, though I don't ever recall Nan Gill making them with raisins. I've asked Nan several times for the recipe for her Lassy Buns but she tells me she hasn't made them in such a long time she can't remember how she put them together. I should have gotten the recipe years ago. Here's my recipe, and although they are good, anyone in the family eating them will tell you they're not Nan Gill's buns. I sent a few down to her a couple of months ago and wondered how she liked them. She told me they were too dark and strong. I was a bit taken back at that statement as she likes the store-bought buns which are as big and dark and heavy as a hockey puck. But she did manage to eat every one of the buns and a few weeks later she commented on how good they were. It's true, mine are darker than hers and I've included the spices which I don't think Nan used. Anyway, you'll find as much variety in a Lassy Bun as there are in the people who make them. 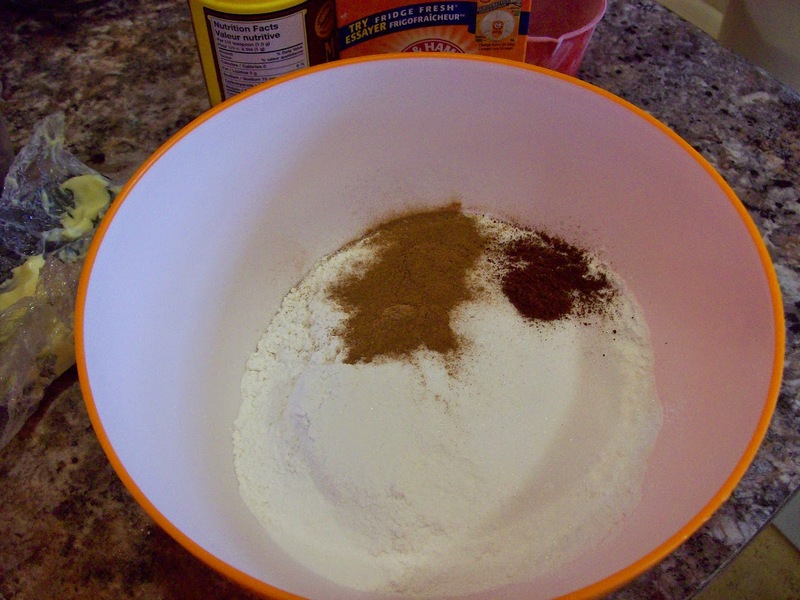 In a large bowl, combine dry ingredients together, mixing well. Lay aside. In a small microwave-proof bowl, combine molasses, butter and milk. Microwave 40 seconds or until butter is starting to melt. Stir until everything is combined. The mixture should not be hot. If it is let cool. Add egg and vanilla and beat together until combined. Make a well in the dry ingredients and pour in the molasses mixture. Gently mix until everything is combined in a soft dough. Turn dough out onto a well floured surface and gently knead 3 or 4 times to bring the dough together. Pat dough out into a rectangle or circle about an inch high. Using a well floured biscuit cutter cut out the buns and lay on parchment paper lined cookie sheet. You may have the buns touching for soft sides or leave a little space between for crusty sides. Makes about 20 small buns or 15 medium. ½ cup of raisins may be added to the batter for Lassy Raisin Buns. Mix the dry ingredients together. Combine well. Set aside. 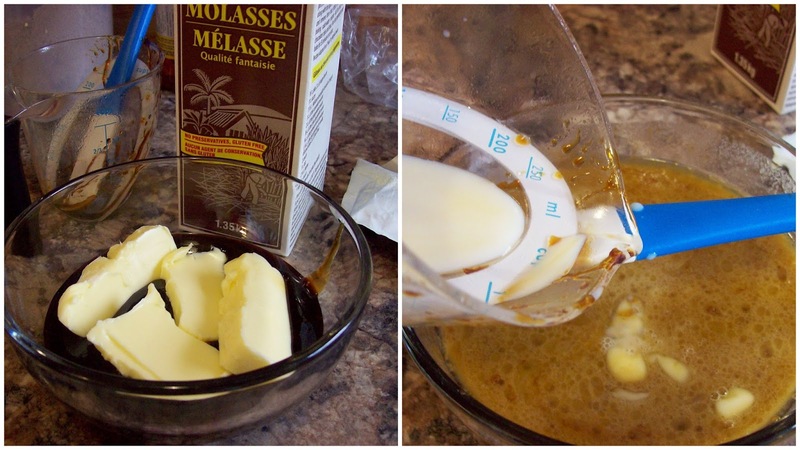 Heat butter, molasses and milk together just long enough to start melting the butter. Mix with egg and vanilla. Combine the wet and dry ingredients together. Use a gentle hand when mixing. The dough will be quite soft. Turn out on well floured surface and knead together 3 or 4 times until the dough comes together. Pat or roll out to about an inch thick. Cut with cookie or biscuit cutter. If you don't have a cutter use a drinking glass. Dip the open end of glass in flour and use that to cut out the buns. I like to place the buns close together. They will rise and fill in the pan while baking. A little butter or jam tops off the bun. I like a bit of butter. Store Lassy Buns in an airtight container. Lassy Buns waiting for a cold glass of milk or cup of tea. Just made these and they turned out great. I loved the hint of clove. Wish I had cut them a little thicker using my smallest biscuit cutter. They were delicious warm with a little spread of lemon curd. Now you have a good excuse to make them again, lol. Lemon curd sounds lovely, Mmmmmm. they look yummy. did you try to make them gluten free, egg free and diary free? I think they would be easy to make egg and diary free. Use almond or soy milk, etc add a little extra to take the place of the egg. I have never made them gluten free. If you do, please let us know how they turn out. Yes, you can use water very successfully. I want to give my sincere thanks for your recipe, it will be going in my recipe box! Three years ago, this prairie girl married a Newfoundlander and I know that my husband misses the food from his childhood. In all honesty, some of the food is strange and a bit stomach-turning for me still (mostly the meats, like turr and seal), but the baked goods are all fair game for me to recreate. I followed the recipe with the exception of cinnamon and cloves, for which I substituted 1 teaspoon of nutmeg. Hubby said that his Nan's are more dense, but other than that they are a winner. So happy the buns were a success. I've never eaten turr or seal so I guess I'd have trouble with those too. LOL. I also tried to get my Nan's recipe for lassy buns -- as she was making them in my mother's kitchen! She said "I don't know the recipe. I just make them like this..." There was not one measurement forthcoming and I wasn't rude enough to grab every item and measure it. I watched and tried to capture it. Thank you for your charming comment! There are so many recipes I'd love to recreate but hardly know where to start. My mother was also a great one for throwing ingredients in a bowl without a written recipe. I remember my Grandfather's, and these look just like his. Makes me want to give them a try. Yes, do try them. They are quite easy to make. You will be following in your Grandfather's footsteps. 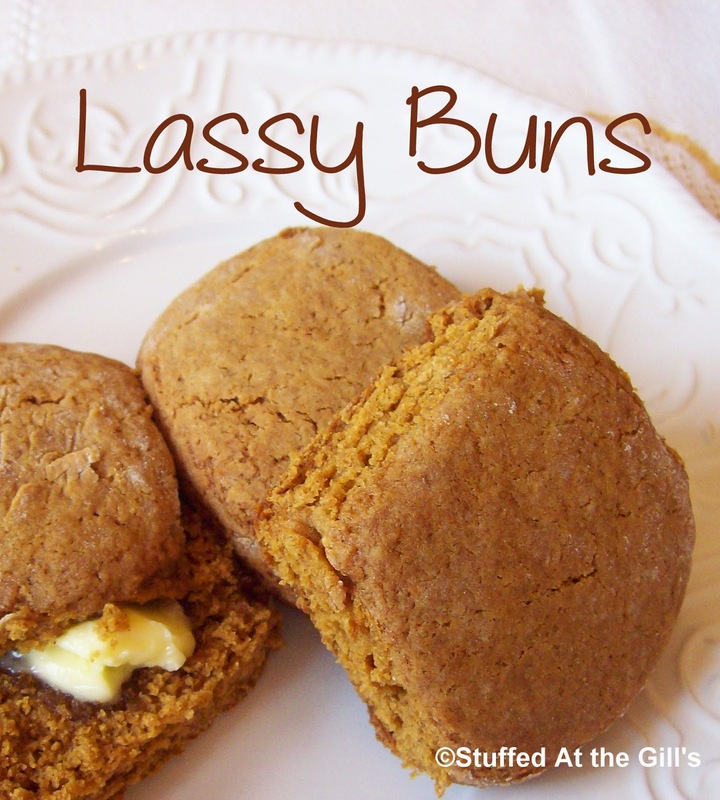 I just found this recipe for Lassy Buns, OH MY GOSH!!! They look delicious!!! Can they be made gluten free? I have a couple of cousins that come over for coffee and one is gluten intolerant. Hi Claudia. I've never made these gluten-free but I know you can buy gluten-free flour at most large grocery stores. Some people have great success using this wheat flour substitute. I would try that. Good luck! And plesase let me know if you make them gluten free and how they turn out. Hi Lois, thank you for your quick response. I'll look for that. Just a side note...I made your recipe today and ohhhhhhh......DELICIOUS!!! I'll keep you posted when I try them with gluten free flour. So happy the Lassy Buns were a success!